Services begin at 4:00 P.M. Fellowship meal to follow. and its FREE to attend!!! 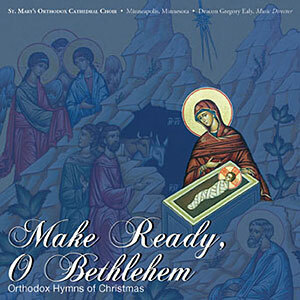 "This enjoyable CD contains rarely heard musical settings of hymns for the pre-Nativity and Nativity season, as well as favorite traditional carols. It is a marvelous documentary of the venerable traditions of St Mary's Choir, one of the longest-standing Orthodox church choirs in North America." See Jane Neumann, Miho Ealy, or Deacon Gregory to purchase. The Seventh Annual St Alexis Lecture takes place on Bright Friday, May 6 at 7 pm, following Paschal Vespers. We are blessed this year to have Professor Scott Kenworthy, Associate Professor of Comparative Religion at the Havighurst Center for Russian and Post-Soviet Studies, Miami University in Oxford, Ohio. Dr. Kenworthy will speak on St Tikhon and Orthodoxy in Early Twentieth Century America. Dr. Kenworthy's research interests focus on the history and thought of Eastern Orthodox Christianity, particularly in modern Russia. His first book was The Heart of Russia:Trinity-Sergius, Monasticism and Society after 1825 (Oxford University Press, 2010), which won the 2010 Frank S. and Elizabeth D. Brewer Prize of the American Society of Church History. Dr. Kenworthy is currently writing a biography of St Tikhon (Bellavin, 1865-1925). 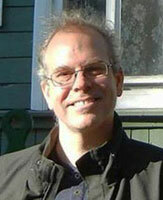 He is also working on a book on the controversy concerning the Name of God in early 20th century Russia and Mt. Athos. The Sixth Annual St Alexis Lecture took place on Wednesday, May 6 at 7 pm, following Vespers. 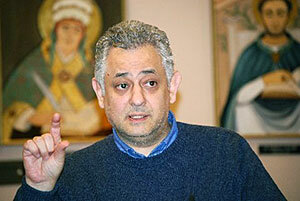 We are blessed this year to have the well-known scholar and speaker Dr Christopher Veniamin, Professor of Patristics at St Tikhon's Theological Seminary, speaking on the topic: The Orthodox Understanding of Salvation: Theosis in Saint Silouan the Athonite and Elder Sophrony of Essex. A reception followed. took place at the historic St Mary's Cathedral in northeast Minneapolis on Tuesday, May 6. The speaker was Archimandrite Luke, Abbot of Holy Trinity Orthodox Monastery and Seminary at Jordanville, New York. A reception followed in the parish center. 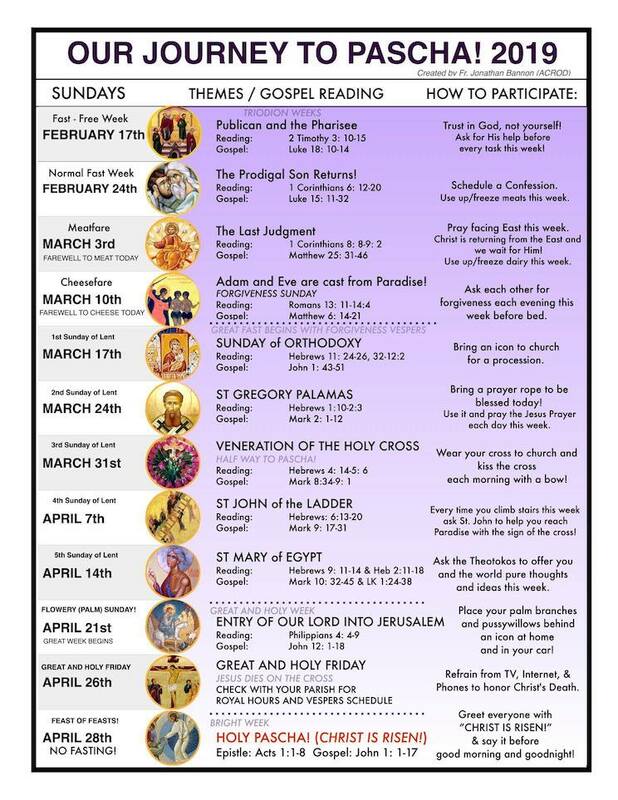 The St Alexis (Toth) Lecture is an annual event sponsored by St Mary's Boriss-Hansen Committee, which is dedicated to furthering educational opportunities for Cathedral parishioners and the local Orthodox community. Previous speakers were Metropolitan Jonah (Paffhausen), Archimandrite Meletios (Weber), Bishop Matthias (Moriak), Archpriest John Jillions. The series is named for the founder of the Orthodox community in Minneapolis over 120 years ago, a great Orthodox missionary and apologist who was glorified by The Orthodox Church in America in 1994. 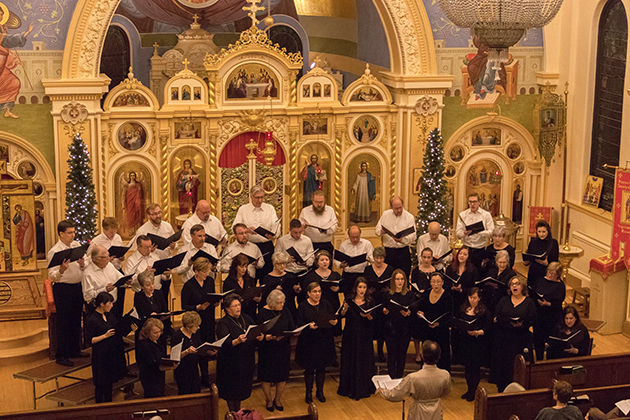 In December visitors to The Museum of Russian Art in Minneapolis enjoyed several performances by the St. Mary's Orthodox Cathedral Choir. 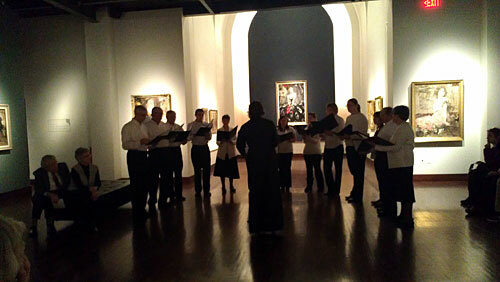 The choir sang harmonized chant melodies from monasteries throughout Russia in keeping with traditions presented in the TMORA exhibition The Romanofs: Legacy of an Empire Lost. "Wonder" is a publication of the Department of Youth, Young Adult, and Campus Ministries of the Orthodox Church in America. "Wonder" is published monthly on a particular theme and presents four or five articles from a variety of perspectives. This blog is particularly geared for young adults and college students, and those who minister to them. Bishop Matthias visits St. Mary's for the 3rd Annual St. Alexis (Toth) Lecture. 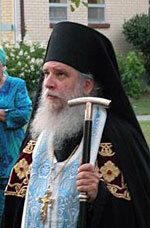 Archimandrite Meletios Webber visits St. Mary's for the 2nd Annual St. Alexis (Toth) Lecture. Listen to Archimandrite Meletios' St. Alexis/Borris-Hansen Lecture and the Jesus Prayer talk given before Vespers. Metropolitan JONAH and Archbishop JOB visit St. Mary's for the remembrance of the 100th Anniversary of St. Alexis (Toth) repose.